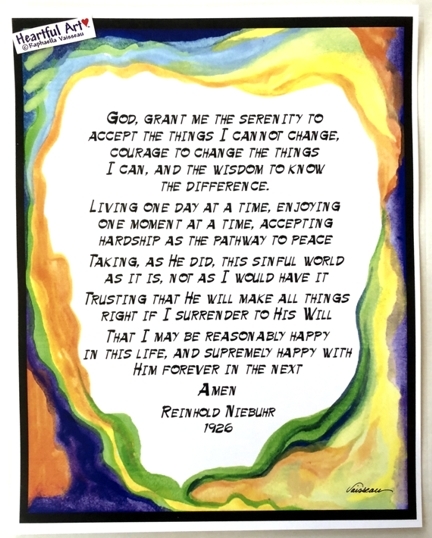 11x14 poster of the long version of the Serenity Prayer written by Reinhold Niebuhr in 1926, with art by Raphaella Vaisseau. Love yourself. Let go and let God. Keep it simple. Enjoy life. Be happy.